As the Human Library in London will take place on 7th october, A.R.T. Fusion decided to organize the Human Library in Bucharest on 14 and 15 october. We have already announced the human books who participated to our previous editions of Human Library and we count on them, but we are also looking for some new and interesting titles for the catalogue of this new edition of Human Library. As a preparation for october, A.R.T. 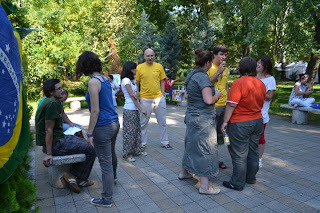 Fusion organised 2 weeks ago, on 11of september, a Human Library during ONG Fest in Bucharest. 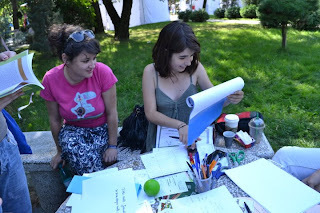 The Human Library took place in a non-formal place, in the park, and everybody enjoyed the armosphere. We had almost 15 books, some "old" titles already known to the readers, but also some new titles in the catalogue. 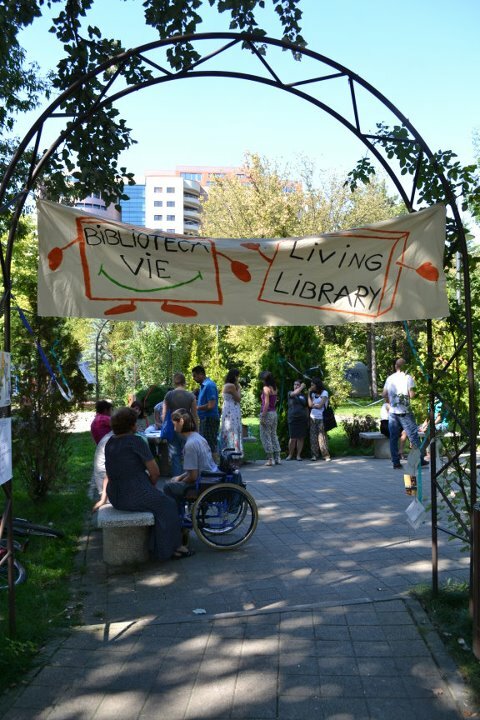 We let you with some photos from this nice edition of Human Library. 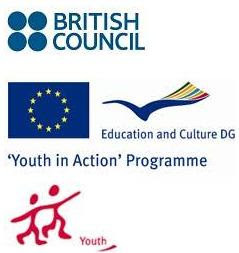 "Don’t judge a book by its covers" is a unique project implemented by two partner organisations: Youth with a Global Vision, UK and A.R.T. Fusion Association, Romania. The aim of the project is to bring young people closer of accepting diversity using a unique and interactive non-formal method, HUMAN LIBRARY. This publication [communication] reflects the views only of the author, and the European Commission and British Council cannot be held responsible for any use which may be made of the information contained therein. Information on this blog is property of Youth with a Global Vision and A.R.T. Fusion Association.. Simple theme. Theme images by luoman. Powered by Blogger.